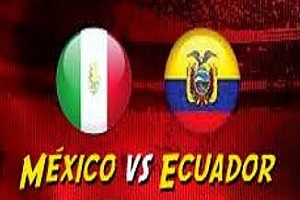 Mexico is facing Ecuador in this game of group A.
Mexico must win this match to have a chance to qualify. They have two points after two games, while Bolivia and the hosts of this competition Chile both have four points. If Chile or Bolivia win, the loser will be eliminated, that is of course if Mexico win. In case of a draw it all depends on Mexico winning margin. Ecuador have no chance to qualify. They have lost both of their meetings so far and have a total of 0 points. Their defense looks terrible, which is a good news for their opponent. Odds for Mexico win are really good and the need of good goal difference compels them to win with two or more goals!